The long-awaited WIT Arena opened its doors to the public this morning. The first eager customer was there for 6am to make use of the gym facilities. 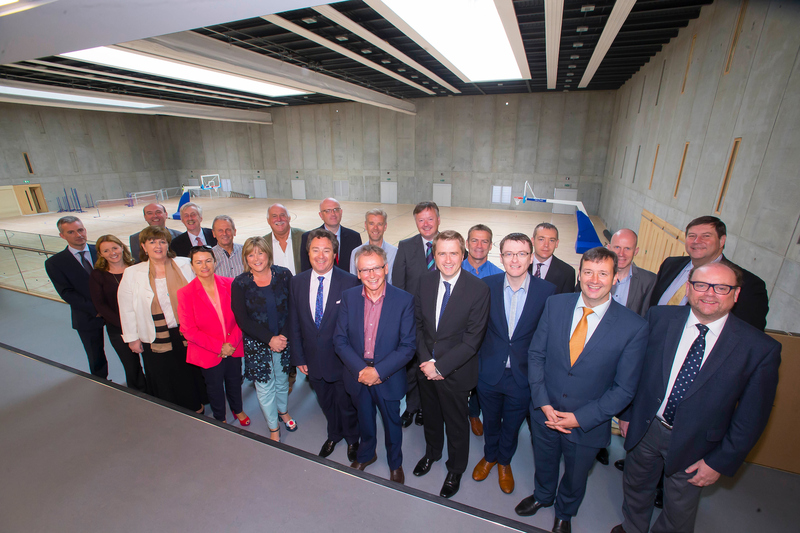 Before 9am the Ibec South East Regional Executive Committee held a meeting, and members later joined by elected representatives to discuss the key challenges facing the South East region. The meeting is the first corporate meeting to take place at the €20m WIT Arena. The WIT Arena is currently accepting membership applicants from the wider public as well as staff and students at WIT. On Sunday the WIT Arena is delighted to host the Irish Symphonic Wind Orchestra which is being organised by the Symphony Club of Waterford. Johan De Meij will be the guest conductor on the night with guests from the Irish Youth Wind Ensemble and director Ronan O’Reilly. The concert is a 90 piece ensemble that brings together some of Irelands best Wind, Brass and Percussion players. Guest Conductor is Johan De Meij who is internationally recognised as a leading Composer and Conductor. Johan composed the Lord of the Rings Symphony and other notable wind band compositions, some of which will be included in the concert programme. See www.witarena.ie for full details of upcmoming events, class timetables, venue hire enquiries and membership. In addition to campus tours of the main WIT campus, WIT Arena tours are available for prospective students. Book ahead at the http://www.wit.ie/campustours.